Economic success in Japan has been attributed to the existence of harmonious labour-management relations. This book, first published in 1991, argues that this unique ‘culture of harmony’ was consciously invented and developed over the last century. A semi-bureaucratic organization called the Kyochokai was established in 1919 to meet the needs of an emerging industrial society. It took the lead in trying to define the values which would be suitable for a new Japanese-style industrial culture. 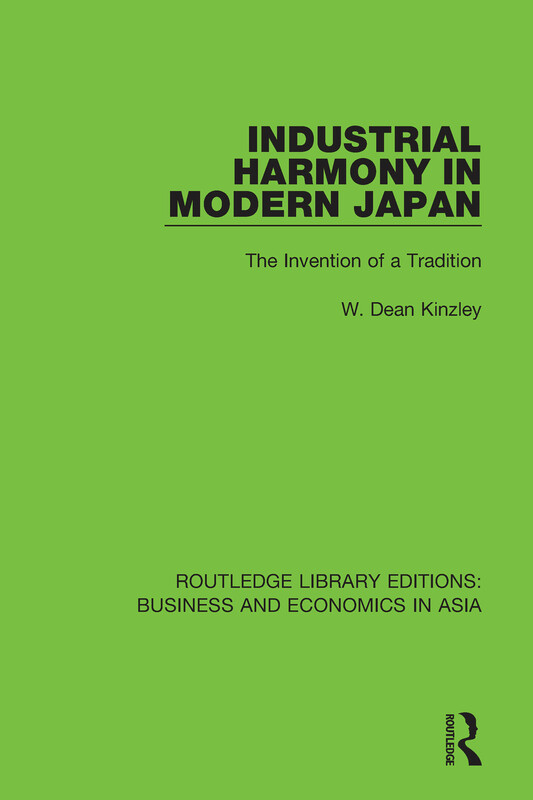 The resulting ‘invented’ tradition has played an important role in the evolution and character of Japanese economic values and behaviour.